Banetoriko & Salmonella “Kagefumi” is now on sale! Banetoriko share three tracks, and Salmonella shares four tracks. In addition, one track of dazzling collaboration in this CD. 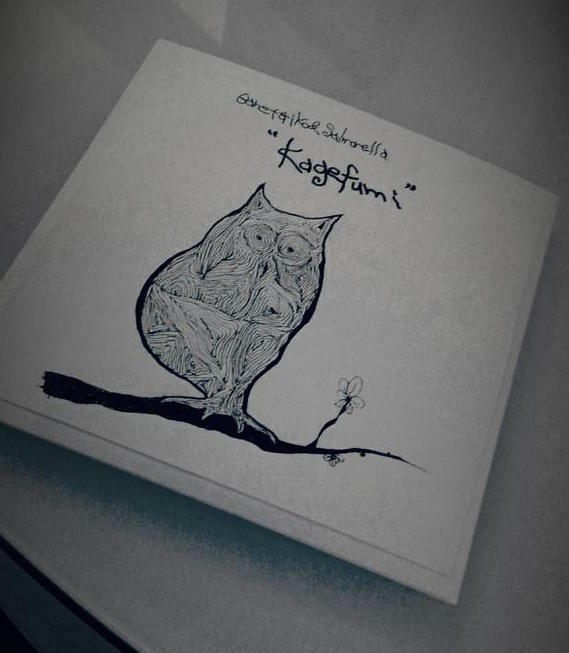 This is a release from ObakeKoubou, a label run by Salmonella. I picked “Maikubi” for featured yokai. 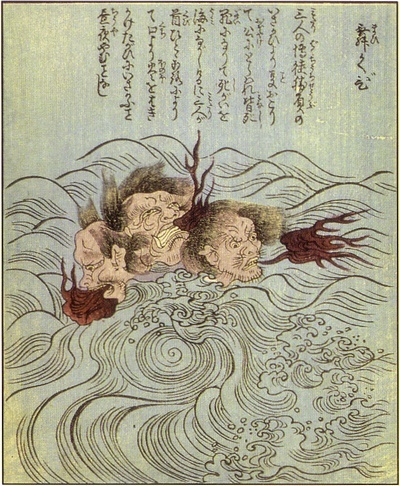 Maikubi is heads of three villain, Koheida, Matashige, and Akugoro. They started arguing on gambling with doubt and suspicion among each other. The argument became bloodshed, three of them beheaded each other and fell into the sea. Later, their greed became a yokai, which three heads blowing fire and waltz together. The order of the tracks on this CD takes turns between Banetoriko and Salmonella. The whole is coming together very well. The impression – uneasy mood, pieces of parallel world, noise-scape of day-dreaming – is highly unique, even if I say so to myself. Many gratitude to Salmonella, who did also wonderful jacket design, and Kenji Kuroda, who did mastering. This entry was posted in news / お知らせ, noise / ノイズ and tagged Banetoriko, 舞首, kagefumi, maikubi, salmonella, 又重, 小平太, 悪五郎.